Kai Ping is a grilled chicken on skewers. It's derived from two Thai words Kai and Ping. The word Kai refer to chicken and Ping mean grill. So, Kai Ping is actually a chicken barbecue with Thai style marinated and serving. 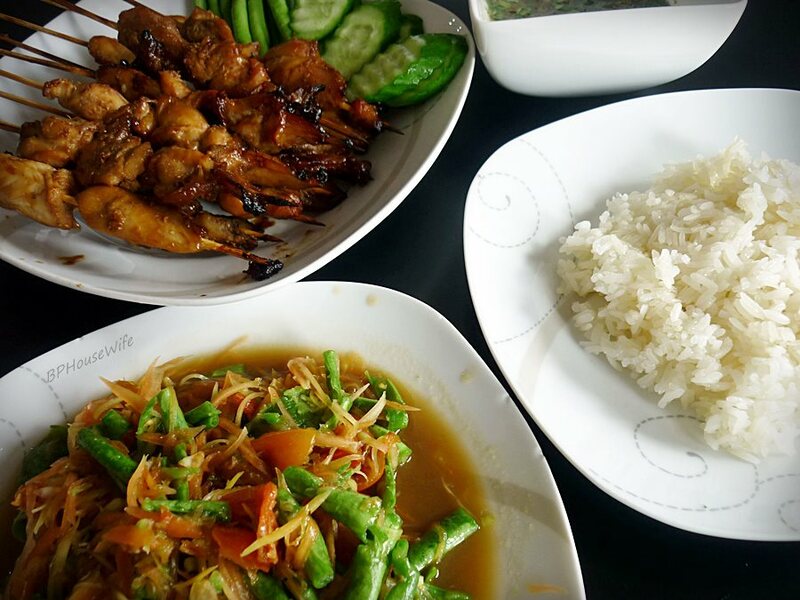 In Thailand, "Kai Ping" usually served with sticky rice and Thai style sauce. burning while on the grill. 5. Preheat the grill for medium heat and lightly oil grate. done when its juices run clear. Heat wok over medium low heat. Pour in 4 tablespoons water then stir in brown sugar, fish sauce, tamarind paste and ground chili paste. Stir well and make sure all the ingredients are dissolved. Turn off the heat. The sauce will thicken as it cools down. Lastly add in chopped cilantro. Ready to serve.